I have just finished reading Peter Berry’s final post on the sinking of their narrowboat Kelly-Louise <link here>. It’s almost unbelievable that a businessman would bill a boater the cost of storage and hoist fees after being responsible for sinking it. Moreover, that these fees come to more than the original quotation for blacking the boat seems to be almost vindictive. I can’t recall a worse example of poor customer service. To my mind it’s a short term financial gain with more serious longer term financial consequences. I certainly will not be giving any business to that marina and I hope other boaters feel the same. The first two switch labels have been fitted. Now that I’m happy with them I’ll place an order for the last two. They might look like they are made from brushed aluminium but it’s actually plastic. Actually it’s a plastic sandwich with aluminium colour on one face and brass on the other. The centre is black. By engraving through the outer colour you end up with black lettering on aluminium or brass. This is the six gang switch beside our bed. As you can see, we have two spare switches. They are wired to the Empirbus bow node but I haven’t allocated them anything to control. 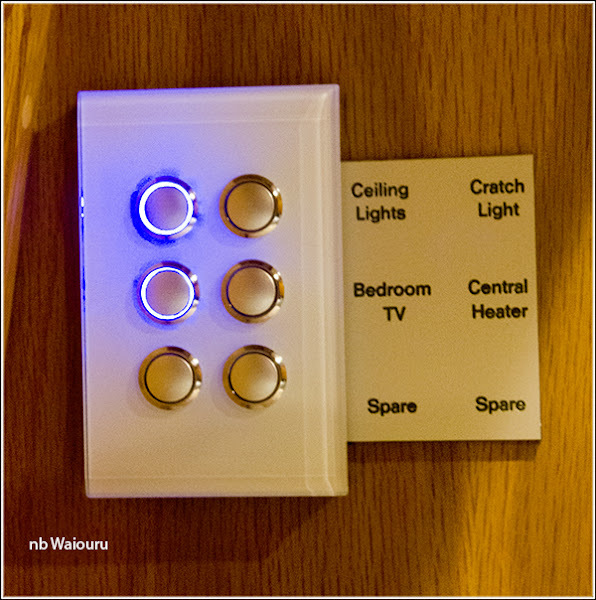 Oh, the bedroom ceiling lights and TV were on, which is why the backlit LEDs on those switches are illuminated. This morning Jan happened to notice the boat moored opposite. If I recall correctly the boat owners were also the owners of Crown Narrowboats and built Parisien Star; amongst others! 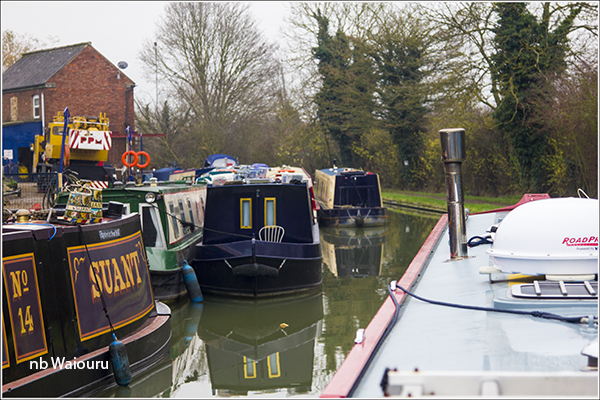 We started cruising towards Braunston with the objective of reaching it by the weekend. Passing Clifton Cruisers has become even more of a challenge as they had the boats three abreast by the wharf. To squeeze through we had to scrape both the boat and the sheet metal piling. The water pressure from the taps at Hillmorton is always poor but it was made even worse by our new hose kinking. The damned hose is next to useless. I’m probably more frustrated than I should be because I thought I was buying a good quality reinforced hose! A very shocking and sad episode for nb Kelly Louise and I can only imagine how Peter and Margaret feel. But..... we are moored there, and have had work done, and can say that we've had good efficient service from the marina staff and all their sub contractors on site. Very very bad experience for P & M though. I believe the relevant question to ask oneself is...... knowing how P&M were treated after something went wrong, why would a boater risk having work done there? Hi Tom, Being the person at the sharp end of this incident, I can say that over our 5 years of ownership we graced this marina with our custom every 2 years for blacking. As you know on this occasion I had researched the type of blacking I wanted done and had involved the marina in early planning, due to what I had seen of an early return to waterline corrosion shortly after our last blacking in 2012. The job they did was completed in half the agreed time, which had been discussed to allow sufficient curing times, and having then seen the quality of their work once the boat was retrieved from the bottom of their marina, well I will leave readers to view my images and decide for themselves. It is certainly my own opinion that the new coating of epoxy blacking could never have provided sufficient ongoing protection against corrosion. After the event I had calmly accepted what had happened, and fully expected the marina to step in immediately to assist me in rectifying all the issues I had now come up against. Instead, they chose to ignore my requests to provide their own insurance details until it was too late for me to claim directly off them in the first instance. They did not provide initial "first aiding" to protect the boat from further damage until I insisted they did on the advice of my own insurer, and to top it all they then insisted I pay for the job that had gone so wrong in full, bearing in mind it would all have to be re-done had I wanted to repair the hull, as well as storage charges to keep the un-seaworthy boat on hard standing while we attempted to sort out the consequences of their actions afterwards. Yes, it was unfortunate what happened, but I believe there is no excuse at all for the way they conducted themselves afterwards. The cash I was forced to pay before they would release my boat, which had been moved to a location behind their secure entrance barrier, damaging it further in the process, was the sum of the cost of the job and the storage charges. The trade buyer to his credit, agreed to pay the hoist fees and any further on-going storage charges until the boat could be moved. I agree, not the best customer care in the world from this marina on this occasion, and to one of their regular customers! 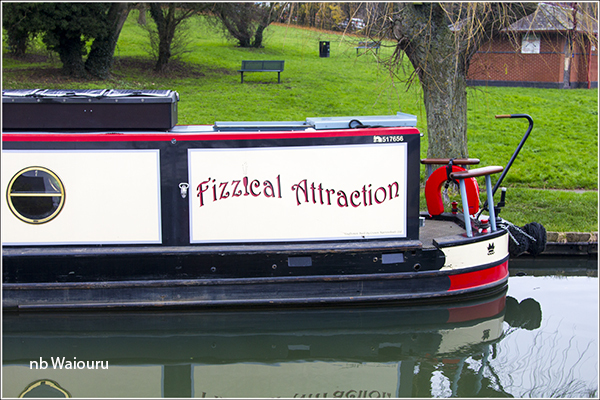 Interested to learn Fizzical Attraction is owned by ex Crown Narrowboats. They may have been first choice for QISMA as we loved,their biat KENDLE but they had already taken the sensible early retirement option. Maybe I wasn't reading carefully enough, but I could not see the name of the marina, there may have been clues in the posts but I didn't pick them up - so it's a bit difficult to avoid making the mistake of using it. Peter said he wasn't in this to name and shame, but naming and warning would be very helpful. Paul Smith is starting a register of tradesmen offering services on the cut - this is definitely one for that even though they do not qualify/are not qualified as tradesmen. Any business that refuses to accept responsibility in the manner described and that adds further charges, surely does not deserve to be protected - perhaps Peter could put his former policeman's hat on and think about the future victims who are vulnerable to this marina owner with name suppression. I write as one such possible - we have left our boat this winter with shore power on, breasted up to other boats but in a marina with metal pilings. AAARRRGGGHHH!!! If you have the shore power connected to the boat through anisolation transformer then the chance of the boat suffering corrosion will be significantly reduced. Peter isn't interested in naming and shaming. However he has mentioned he has taken the boat to the marina on previous occasions and has blogged about this. So the name can be found with a little reading. I don't think many would disagree that this episode displays a terrible case of bad practice and very poor customer relations. However, I feel it bears saying that there are a number of hard working people employed at the marina; others who rent premises on site as well as independents who sub contract. We have received very good service from these traders. They have gone out of their way to ensure our satisfaction. It would be a great injustice for these people, through no fault of their own, to be adversely affected by all this. I apologise for distorting your blog into a discussion forum Tom. It wasn't my intention but your suggestion that boaters should avoid this marina - I didn't feel that would be quite fair. I believe the person who did the work and was in overall charge was the owner. If boaters continue to use the marina under the current regime/ownership/management how will things change?